Microphones that are used for a long time in the field can break or start to fail in sensitivity. That's why you need to check microphones regularly. Simple microtesters are available at Veldshopnl. But for a more extensive test of microphones you can rely on our expertise. We test the sensitivity of the microphone over the frequency range of 15 to 95 kHz and compare it with the results of a reference microphone of the same type. An example of such a test can be seen in the accompanying illustration below. 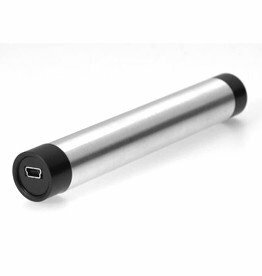 All USB microphones from Dodotronic, Petterson and the echo meters from Wildlife Acoustics. We are working to extend this test to microphones from, among others, Anabat, EcoObs and Wildlife Acoustics. Do you have doubts about your microphone, or do you want to have all your microphones checked before the start of the season? Please contact sales@veldshop.nl so that we can make a customized quotation. You can also "order" the test directly online and send your microphone to us, so we can get started soon. Image: Frequency variation of Elekon FG Black, the test microphone is a year old, used in the field and still in excellent condition. A good new addition in the area of bat detecting. This is a fully digital USB utrasone microphone with integraded digital to analog converter and an optional 200kHz or 250kHz sampling rate. 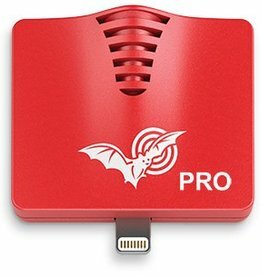 The Echo Meter Touch 2 Pro for iOS is a handy bat detector that you can link directly to your iPhone or iPad and even better than the regular version. 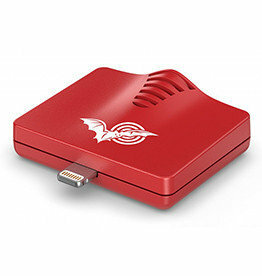 The Echo Meter Touch 2 for Android is the ideal bat detector on the go. Link it directly to your smartphone and go on the road! 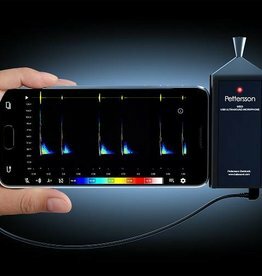 This Echo Meter Touch 2 Pro for Android is for every hobbyist and professionals a perfect handy bat detector. The Echo Meter Touch 2 for iOS is a handy bat detector that you can link directly to your iPhone or iPad.